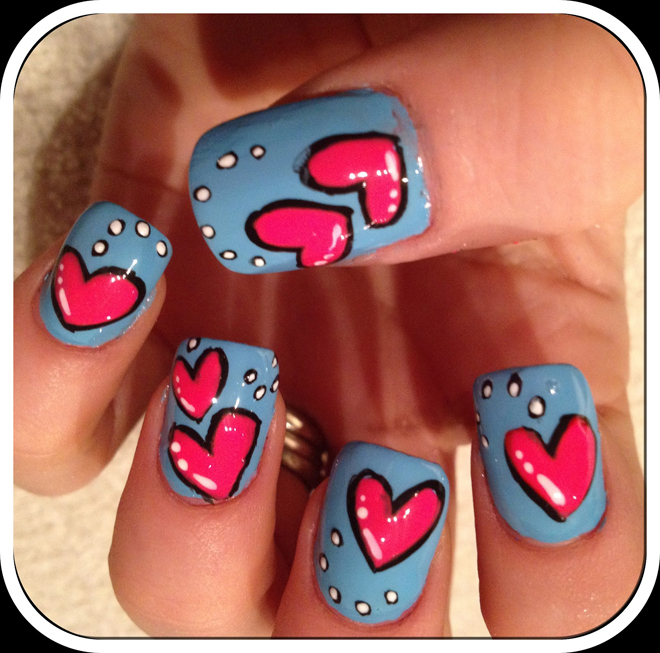 Heart shapes are always popular especially in nail art. They are simple and quick to do. Read on to find out how you can make a creative heart shape. 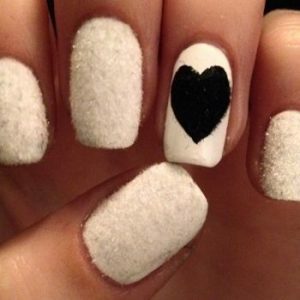 Heart shaped nail art is very popular amongst ladies who want to keep their nails trendy. They spend too much on a simple nail routine just to get these patterns because they have it in mind that such a nail art might require a lot of effort and might be very difficult. Start off by cleaning up your hands and then cleaning the surface to give a professional and finished look in the end. Wash your hands, clip you nails, file them and buff them as required. Use a good moisturizer if you have to and push away the cuticles of your nails for the base coat to be painted evenly. Then take a neutral or light color of nail enamel and line it up on all of your nails as a base coat. This will be your canvas to work on. Make sure you cover all the edges neatly and there are no empty spaces left on your nails. Then apply the second coat following the same procedure. Now take a transparent paper tape, sticky tape or even the sides of a bandage; whichever you have available at your home. Cut out a square from it and now being very careful not to fold it all the way through, fold it in half leaving the edges separate. Cut a half heart on the side that is folded. Now open the tape and you will have a shape of a heart in the middle ready to be used as a stencil. Now take a small sponge and line two shades of nail polishes horizontally together. This will give a shaded effect when applied to the nails. Now stick the stenciled tape over your nails and taking a sponge, dab on each of the nails within the heart shape. You can line the sponge with nail polish if the effect diminishes. Let the nail enamel dry out half way through and carefully remove the tape stencil from your nails. You will see that a perfect heart shape has appeared on your nails. You can always give it an outline with a darker shade or leave it as it is. It is as simple as that. There are plenty of ways to do it. Play along and be creative with your basic design and experiment by embellishing it with either glitter or something else. Once you are done with your nail art, secure it by applying a transparent coat on each of your nails. It will look fabulous giving your nails a new sheen. Enjoy! !